MyAfrica Now: Cristiano Ronaldo threatens to quit Real Madrid unless they accept one huge demand. Cristiano Ronaldo threatens to quit Real Madrid unless they accept one huge demand. Ronaldo was in court this summer over claims he owed the Spanish court money in taxes. And Don Balon claim Ronaldo has made a demand to Florentino Perez and will quit the club if they don’t pay the fine. Ronaldo may be asked to pay as much as £13m - but wants the club to stump up for it. Ronaldo’s future was called into question this summer when reports from Portugal claimed he wanted to leave and to move away from Spain. 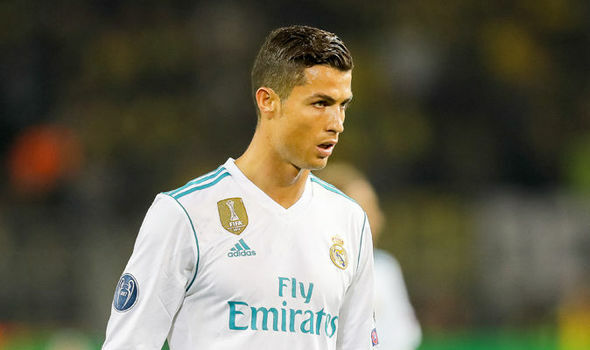 But he then opted to stay put and helped Real Madrid beat Borussia Dortmund on Tuesday night with a Champions League double. He is yet to score in La Liga this term after picking up a five-game ban in the Spanish Super Cup for pushing the referee after being sent off. And the 32-year-old has played just twice in the league so far with Real already seven points behind Real Madrid. Ronaldo was linked with a return to Manchester United and a move to PSG in the summer. But PSG spent big on Neymar and have committed to buying Kylian Mbappe next year. Manchester United are looking at Antoine Griezmann again for next season and would rather sign Ronaldo’s team-mate Gareth Bale due to his age. Ronaldo and Jose Mourinho are also though to have a rocky relationship following their spell together in Madrid, so his options could be limited if he did leave Madrid.